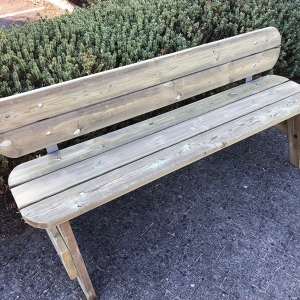 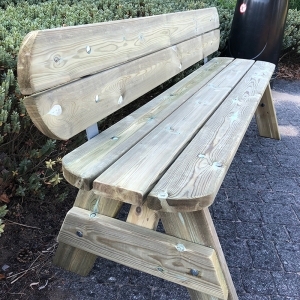 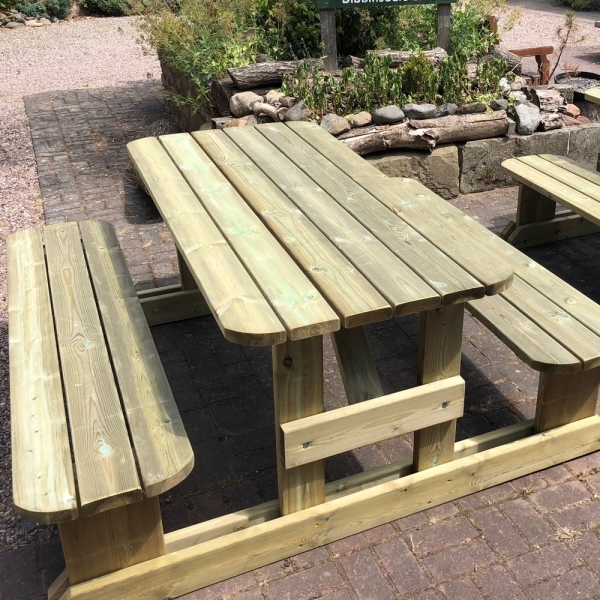 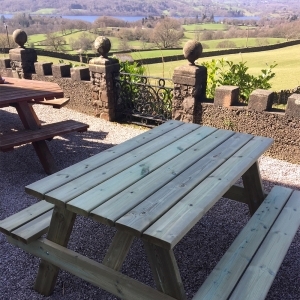 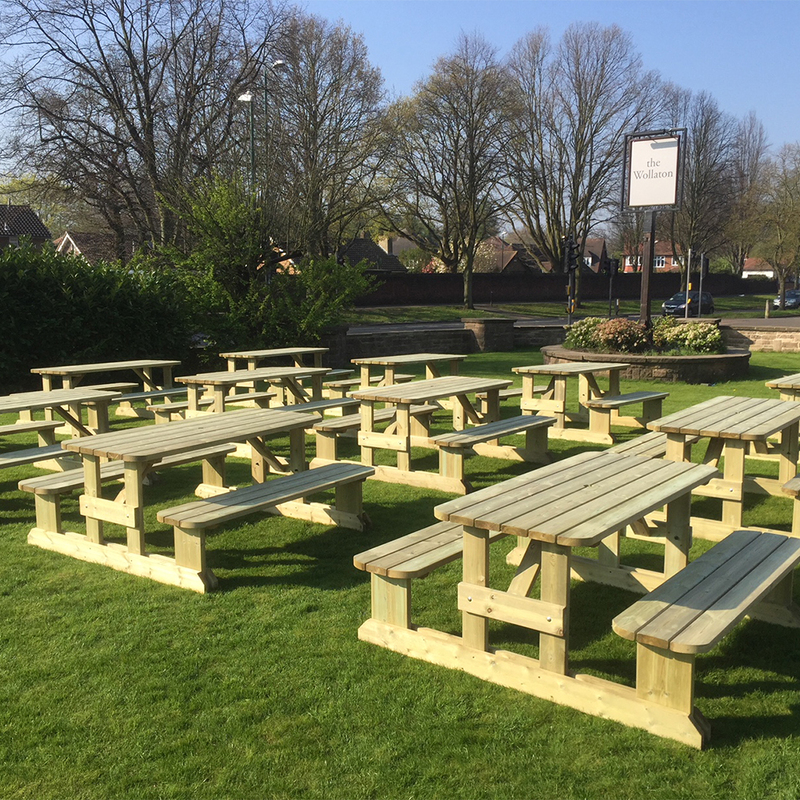 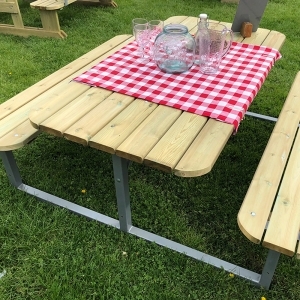 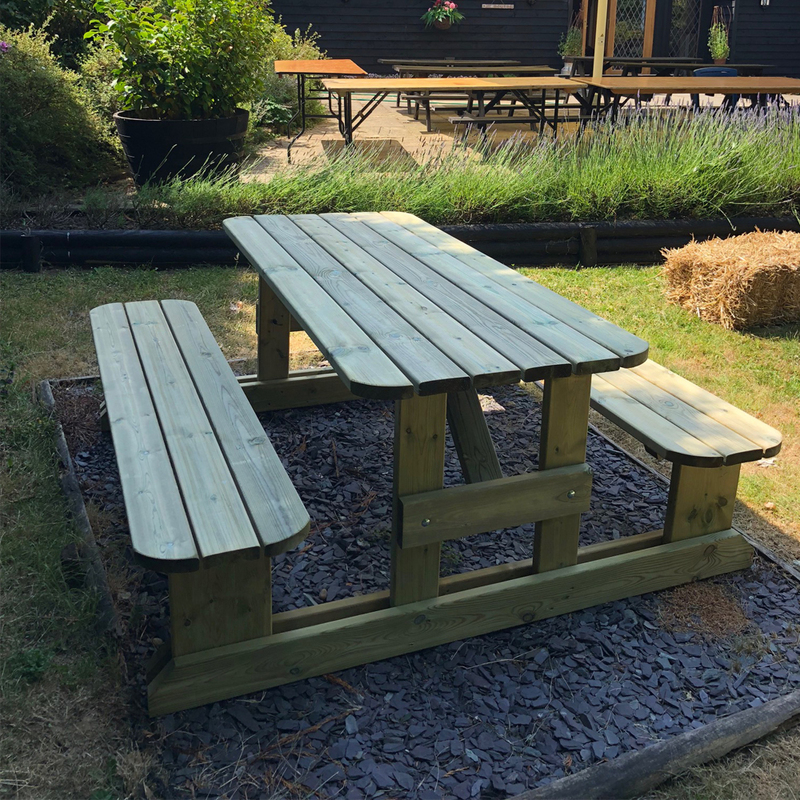 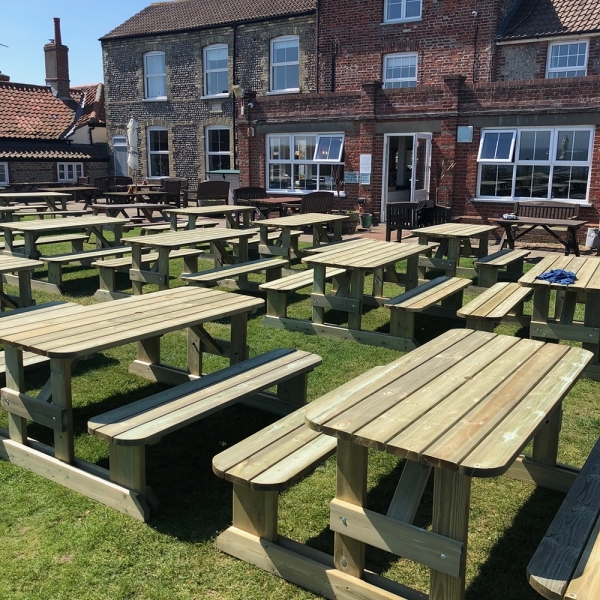 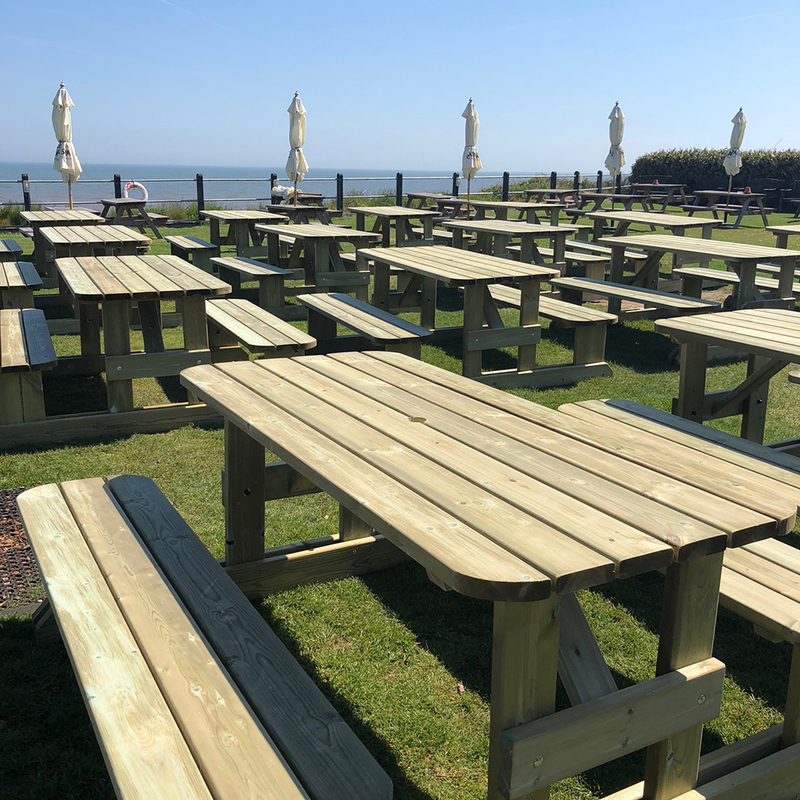 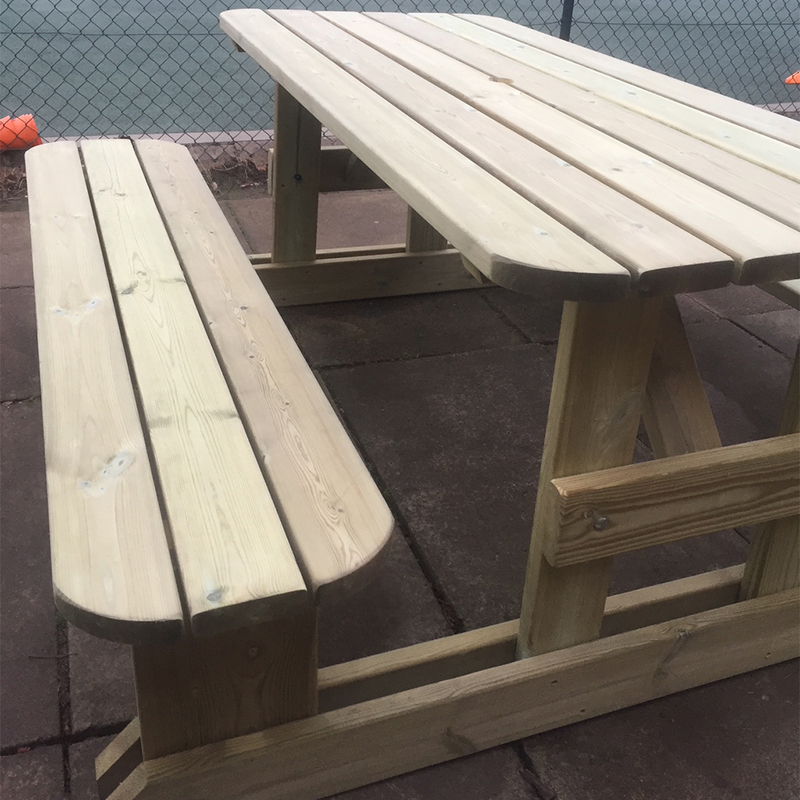 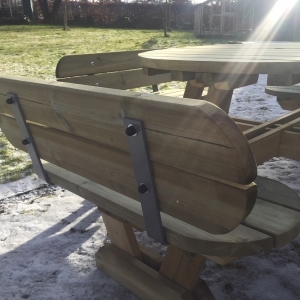 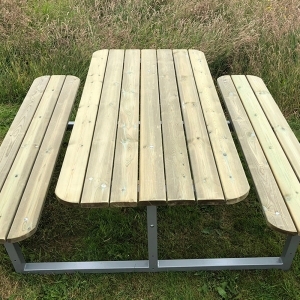 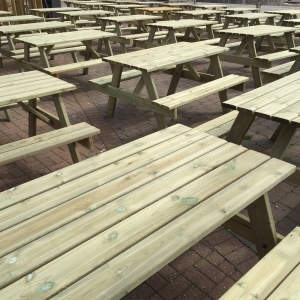 The Rutland 8 Seater Picnic Table features a unique Step-Thru frame providing excellent ease of access. 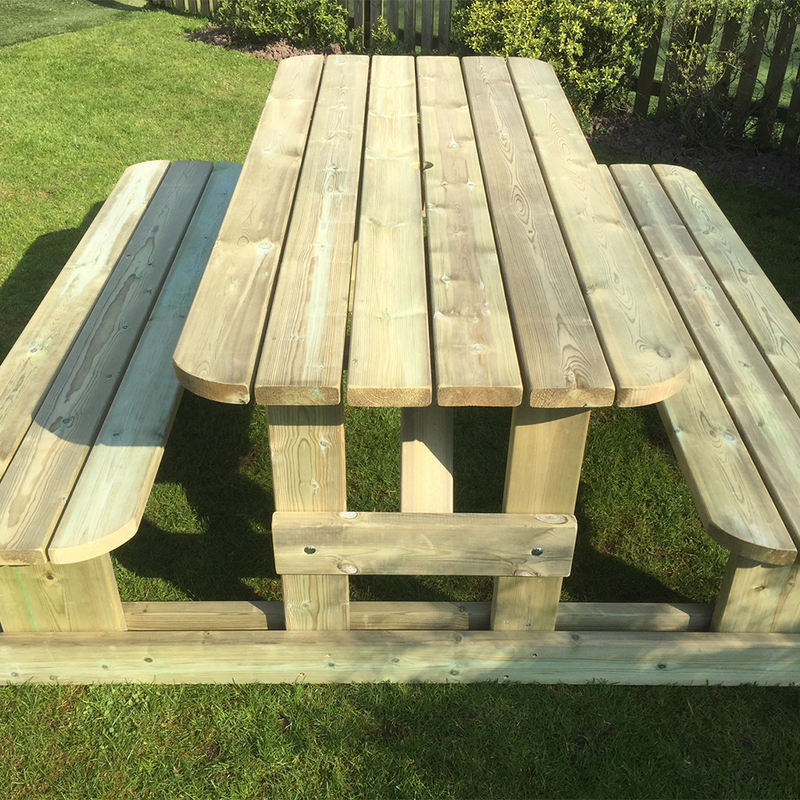 The overall size and footprint of this product offers unrivalled stability and immense strength. 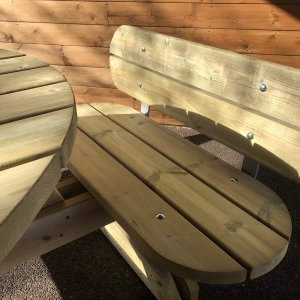 The wider seats and rounded corners are an attractive and particularly comfortable feature. 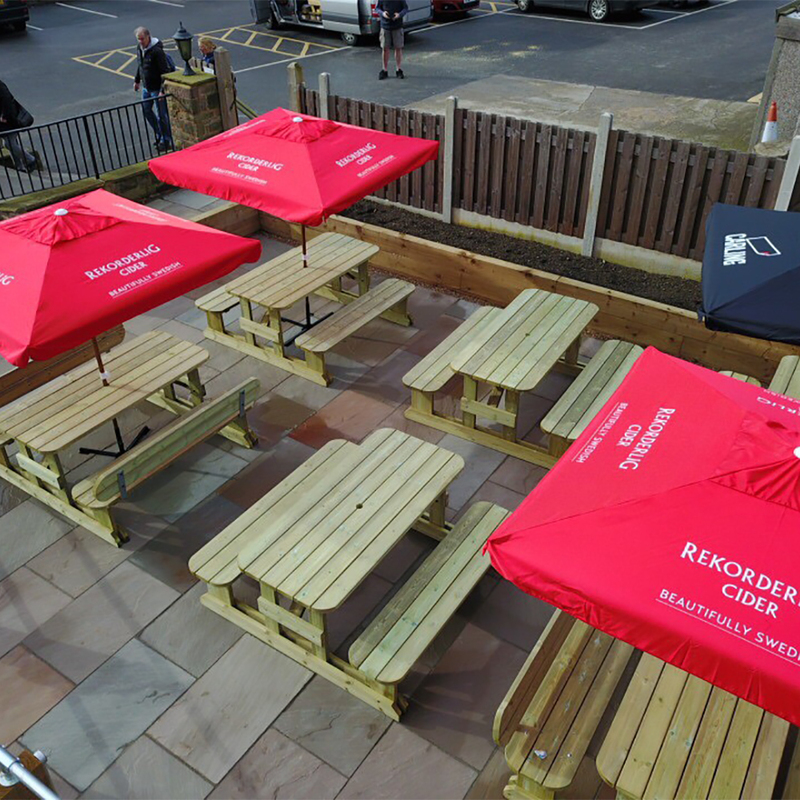 The superior strength and durability of the Rutland guarantees long life in locations as diverse as music festivals and Royal parks.